You finally reached your ideal prospect. Took a lot of emails and phone calls. But you landed his attention. The call went well. 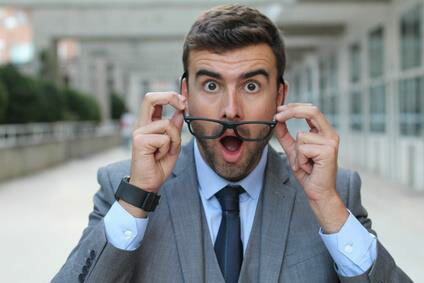 He was engaged, answered questions, and was receptive to a proposal. Ever happen to you? Of course, it has. Anyone in professional sales has experienced the great-prospect-brush-off. Most salespeople conclude their proposal was off target or the price was too high. They second guess themselves. They believe they lost the deal; the prospect moved on; his priorities changed. To me, radio silence indicates I tried to sell too fast. And my sales process misaligned with how the prospect wanted to buy. We know we can’t sell every opportunity. Nonetheless, utter silence shocks the brain. When the sound of silence strikes you, recognize he or she did not perceive your value. At least, not yet. Did you overwhelm them with information on products, services or solutions? If so, the prospect thinks he has everything he needs from you. In his mind, no need to engage further. So, slow down. Position your value to the prospect. It’s not what you sell; it’s how you sell. Communicate your value proposition upfront and with tangible clarity. Worse yet, prospects don’t always know how to buy. Nor do they know how to buy your particular products or services. Don’t take for granted that they do. To avoid this mistake, examine similar buyer personas or buying cycles. Look for patterns and clues to their buying process. What were the obstacles to overcome? To shut down the possibility of prospect silence, salespeople must bring worthwhile perspective and tangible value to the prospect. As Steve Jobs said: “you have to start with the customer experience and work backwards to the technology.” Jobs understood that when you try to reverse-engineer the need statement from the product, it’s too easy to lose touch with reality. When salespeople launch into a product discussion before selling the problem, prospects get confused. It’s like playing Reverse Jeopardy. You give people the answer without understanding the question. 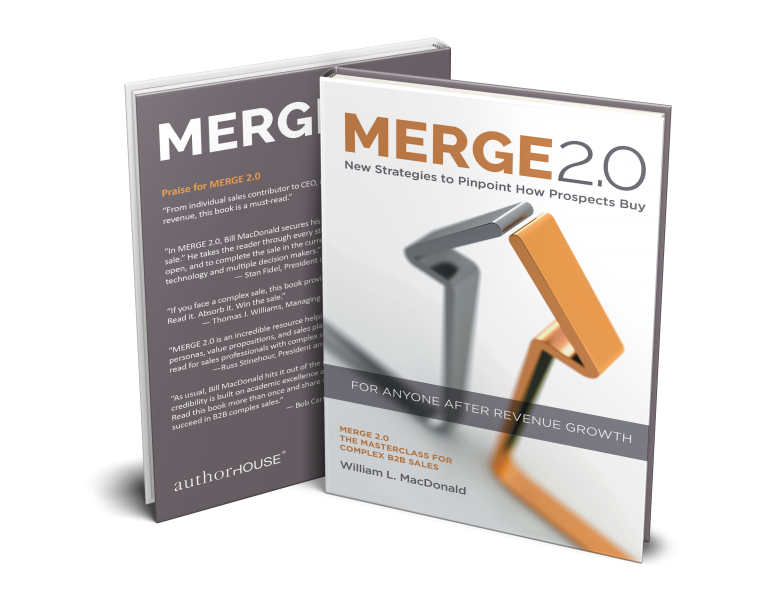 In my MERGE process, this backwards approach occurs before your prospect recognizes the problem and, with your help, has had an opportunity to form his vision for a solution. Happens all the time. You target a potential opportunity. Do your homework. And identify an opportunity to which you can bring a solution. You gear up your presentation materials, launch into who you are and how you helped similar companies fix the issue you uncovered. In fact, you even go one step further and perform an ROI analysis to demonstrate to your prospect substantial savings with your solution. Yet he goes silent. Regrettably, you are treating this prospect as though she’s already in the buying mode. Wrong. She’s still in cognition mode, thinking about her the status quo, analyzing her predicament to grasp a better understanding of the situation. She wants to satisfy herself that her problem is big enough to address and whether to do it now. Or wait. Silence happens when you blow past one of the most important decision points your prospect makes during her buying cycle: the decision to “fix or not fix” an existing problem. This chasm or decision point hangs up most prospects. And salespeople. If you leap over the chasm and continue the sales process as if the prospect already decided to change, and she has not, you’re going to fall into that good, dark hole, stumped. Take a moment to study this chart. Instead, secure her commitment to change, cross over the chasm together, with helping hands all the way. How to do? You cannot avoid this commitment question, no matter how you word it. If the prospect says yes, the green light to move forward is yours. Now, you can roll up your sleeves and help the prospect find a solution to the problem(s) faced. If the prospect says no, it’s not all bad. At least you know where you stand for the moment and have not wasted his valuable time or yours. Step back and learn why this person does not wish to move forward. In all likelihood, you did not fully form a vision for the solution or make the status quo unsafe. 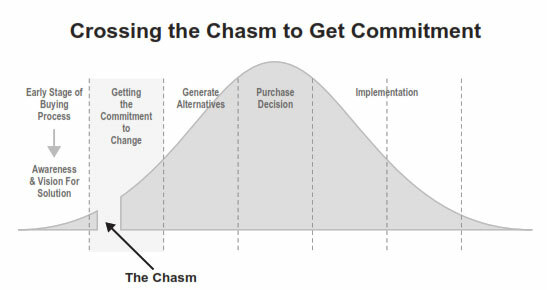 Crossing the chasm is a liberating exercise. You’re given a near real-time peek into the prospect’s mind as he or she commits to fix the problem. Until this commitment is made, any discussion of solutions is a waste of everyone’s time. Best of all, on the other side of the chasm, the vista of unlimited opportunity lies. Your prospects will begin to see you as a trusted advisor who’s committed to fixing their problem by exploring the best possible alternatives. Notice, too, you left the competition on the other side, sitting bewildered in the sounds of silence.